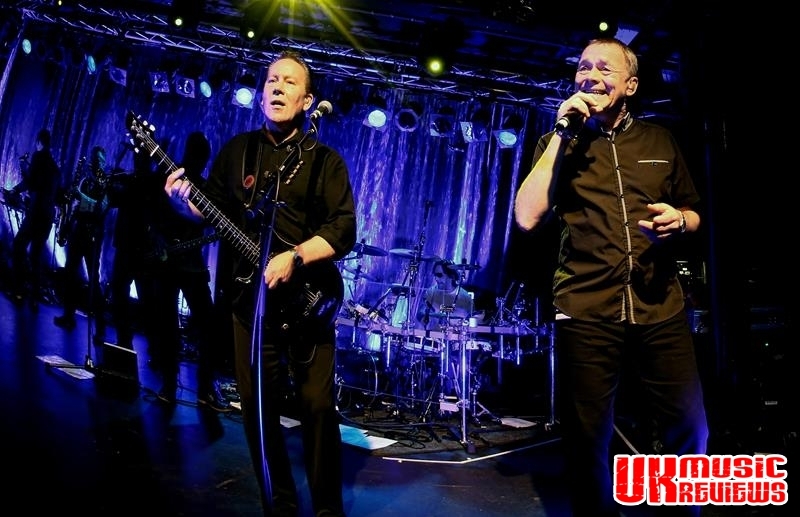 The original UB40 invited a packed Rock City to party last night and that is exactly what they did. From the moment that Duncan launched into opener Food For Thought the band had this crowd firmly in the palm of their hands and any thoughts of Ali Campbell were quickly forgotten under 2,000 pairs of dancing feet. Now firmly entrenched as the bands front man, Duncan delivered some solid gold tunes from their back catalogue of more than forty chart hits, including Cherry Oh Baby, I’ll Be Your Baby Tonight and Please Don’t Make Me Cry. With the nine piece band in great form, taking turns to come to the front of the stage for their moment in the spotlight, and with the horns swaying in time like the front of a forties big band, it was nostalgia at its very best. 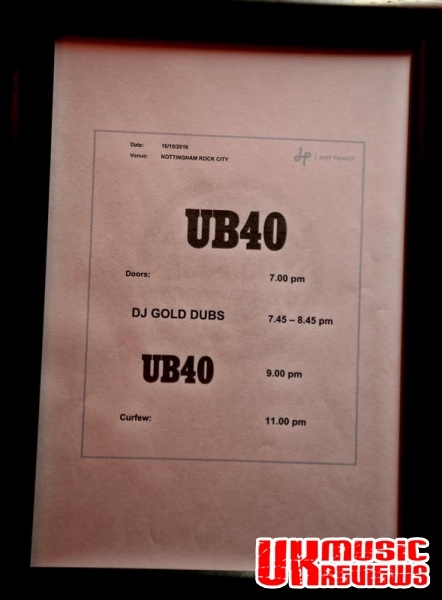 There were a couple of songs from the new album, Getting Over The Storm, which were given the UB40 reggae treatment. 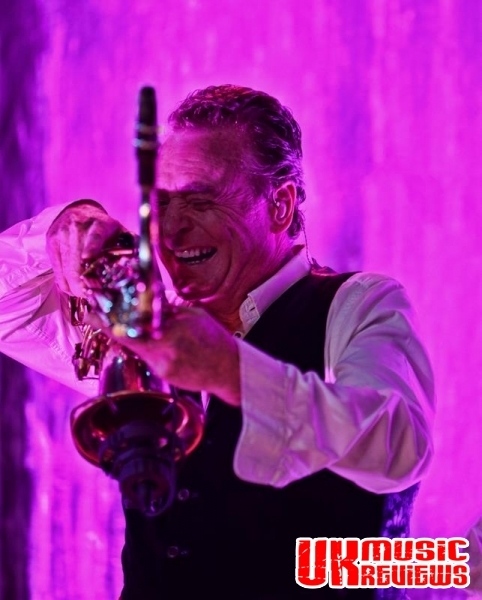 Blues Eyes Crying In The Rain was well received as was stand out number, Midnight Rider with its irresistible groove and great saxophone break. Take a bow Brian Travers. As the night went on the party continued with crowd pleasers Here I Am Baby, and set closer Red Red Wine before an encore brought the band back for Don’t Break My Heart, the fabulous Kingston Town, before the mass sing along to Can’t Help Falling In Love. There was not a single person in the crowd that was not boogying to the beat and singing along to UB40’s timeless classics. It didn’t matter that Ali is no longer part of the group, because his brother Duncan is cut from very much the same cloth. Admittedly, when launched into the spotlight, he may have been trying too hard to fit in. But thankfully Duncan has grown into the role. He is his own man and the band is better for it. It is as though he has always been the front man, there on stage with his brother Robin and the rest of the band, just having fun. 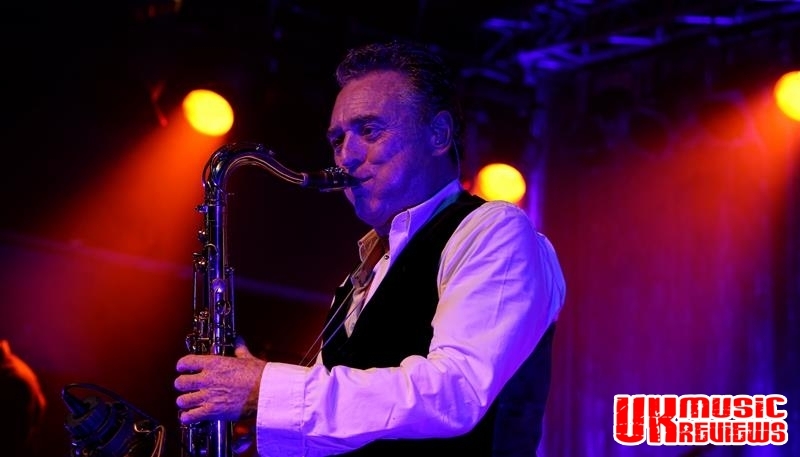 This UB40 certainly know how to put on a great show and they certainly know how to throw a party, having sent everyone home with a smile on their face and a spring in their step. Campbell v Campbell: Who has the higher ground? There might just be too many rivers to cross for all of the members of UB40 to overcome and for their well publicised differences to be set aside for a massive reunion that in reality fans from both camps would love to see. 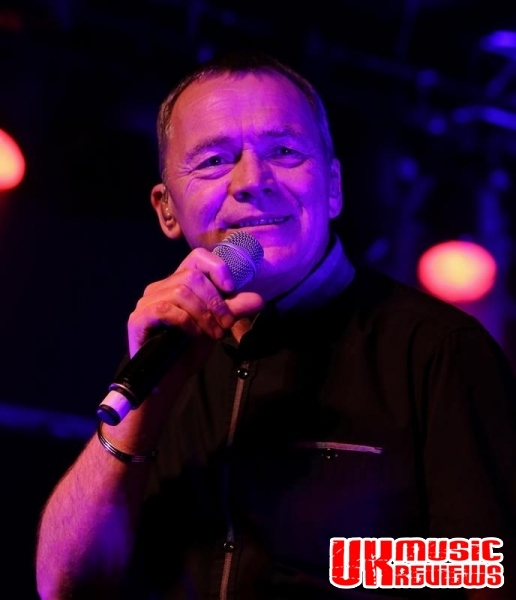 This band originally from Birmingham sold over 70 million records before their acrimonious split in 2008 when Ali Campbell walked away from a band that for the past 29 years had been the epitome of stability. Whilst some bands come and go, some stay apart and some get back together, the story of UB40 is especially tragic because it involves a family; brothers in particular who have not spoken for over seven years, and who have an elderly mum smack right in the middle of the cross fire. The history of this dispute is well documented and has resulted in there currently being two bands with the same name. 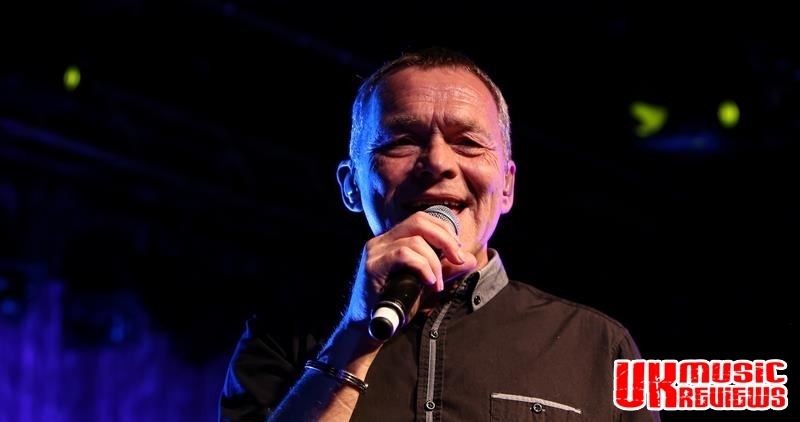 One is called UB40 featuring Ali, Astro and Mickey, after they both defected to join Ali and earned the name “Judas”’ by the other band, and the other involves Robin and their brother Duncan. Citing musical differences as the reason for the split, the more cynical fans may put it down to money. With their huge hits from the 80s and 90s raking in millions of pounds, they had no reason to doubt their management team when told that they would never have to worry about money in the future. So it was bound to cause disharmony when five years later they were told that it had all gone and that not only did they not have any savings or pensions, but they were in debt. From living the life to having empty pockets was bound to cause frustrations and blame would no doubt have been apportioned around. With the liquidation of UB40’s management company, DEP International Limited; the sale of their back catalogue and a rash of bankruptcies amongst band members, it was indeed a fractious time. 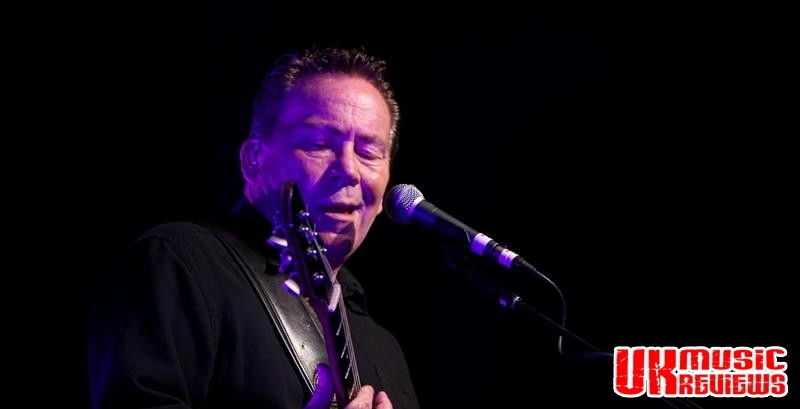 In March of this year Ali Campbell’s UB40 found themselves before the High Court after Robin’s UB40 sued them for damages and asked for a ruling that they own the band name. 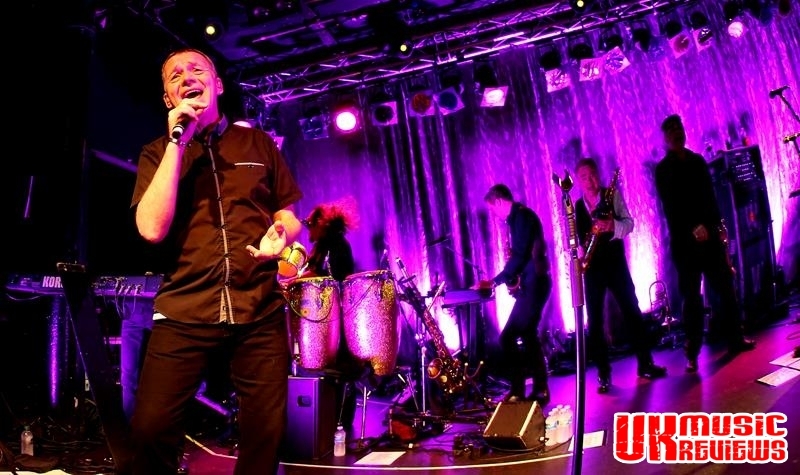 Lawyers for Ali Campbell’s band argued that they maintained the right to use the name and that the case should be dismissed. 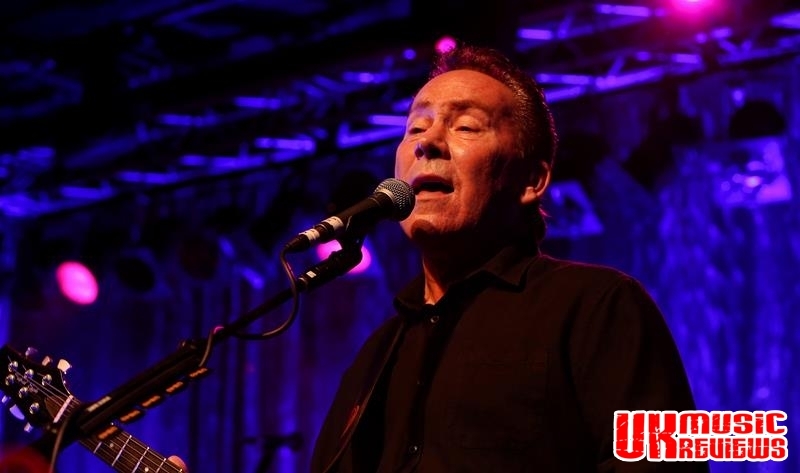 Both bands are also claiming the right to use the www.UB40.co.uk website which Ali has disabled the original group from using. 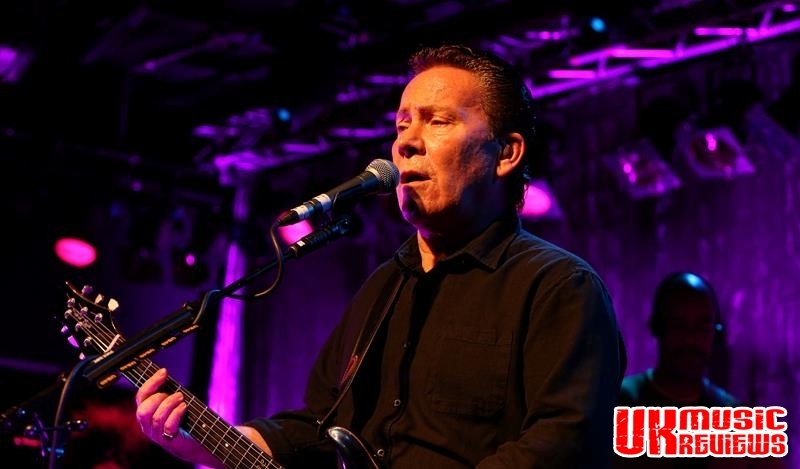 It was agreed that DEP has been in liquidation for years but Ali claims that he and his band were assigned all of its rights in June of last year, which included its goodwill, the website, and the trade mark in the UB40 name; thus arguing that they are acting within their rights. Lawyers for Robin’s UB40 pointed out that the band had long ago sold its back catalogue to raise cash, “leaving DEP no more than a shell with no business to sell”. 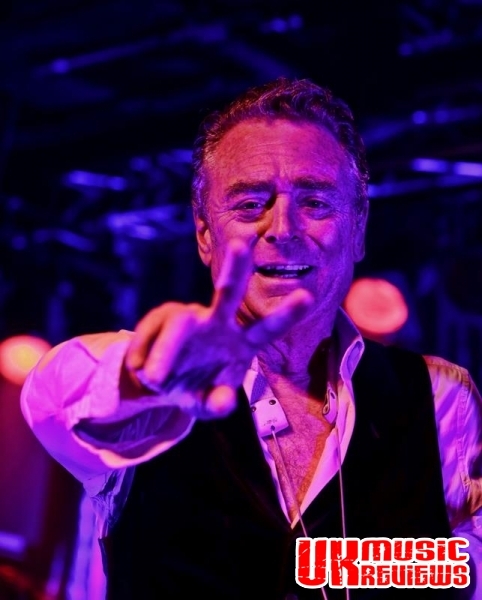 The story will take its due process in the legal arena after Judge Mark Pelling QC ruled that Robin and his band have a “realistically arguable basis for their complaints” and indicated that a full trial date will be set. So the disharmony rumbles on, with the only real winners being the lawyers, with both sides having already racked up £250,000 in legal bills. In the future, it is unlikely that either side will be persuaded to settle their differences as they both dig their heels in. Is there any realistic prospect of there ever being a reunion? It is really doubtful with Ali saying “I wouldn’t dream of going back” and Robin painfully stating that “I’ve lost all patience and love”, so hell would have to freeze over. This is not a story about a band falling apart but of a family who seem entrenched in war and at the end of it all, there may be some losers but there will definitely be no winners.